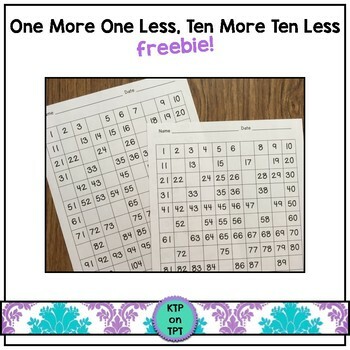 This simple freebie contains a few pages of number sense practice we used in my first grade classroom. We were practicing the concepts of one more, one less and ten more, ten less. We did these sheets along with a really cute Spring number sense activity! Be sure to check out THIS blog post to read about how I used these sheets and to find ANOTHER freebie! !